The Executive Director of the Institute of Research, Analysis and Development for Legal Aid in Manokwari (LP3BH), Yan Christian Warinussy, has urged the National Human Rights Commission of Indonesia to investigate and bring resolve the heinous crimes committed against the Papua people since 1963. The National Human Rights Commission (Komnas HAM) which was set up by Decision of the President of the Republic of Indonesia No 50/1993 must take firm action to resolve all the grave violations of human rights that have occurred in the Land of Papua from 1 May 1963 to the present day. This is in accordance with Article 1 of the above-mentioned presidential decision which states that Komnas HAM should set up a special commission (KPP) to investigate grave human rights violations in accordance with Law 39/1999 on Human Rights Violations and Law 26/2000 on Human Rights Courts. These two laws stress the importance of resolving grave human rights violations, as stipulated in Articles 7, 8 and 9 of the Law on Human Rights Courts. The LP3BH in Manokwari calls on Komnas HAM to set up a KPP and proceed with the necessary preparations for the creation of a KPP in order to take the necessary steps to resolve such grave human rights violations as the Summary Executions perpetrated at the Military Camp of Yonif (Battalion) 752 in ArfaI-Manokwari, West Papua and in the Central Highlands region of the Province of Papua as well as in Wasior and Arsi and in Sidey and Kebar. 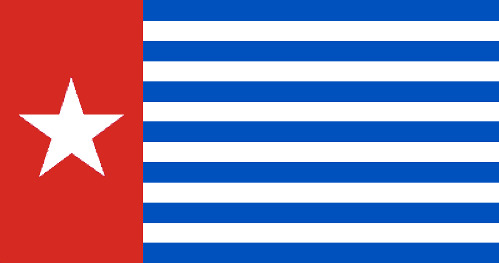 In our opinion, by undertaking intensive and thoroughgoing investigations and contacting victims and witnesses of those cases of grave violations in the Land of Papua, Komnas HAM will be able to gather together accurate data in order to comply with the recommendations regarding investigating grave violations and thereby comply with the stipulations in laws that have been enacted and are in force today.